It seems to me that we have been very busy, and not quite sure with what, but I have had a little time to do some fun sewing. Owls have been my projects. I used a free pattern from the internet, i just can’t remember the site, plus I’ve made a few of my own little pattern pieces. They’re easy and fun to do. I’ve used fabric for the body and felt pieces for other body parts. 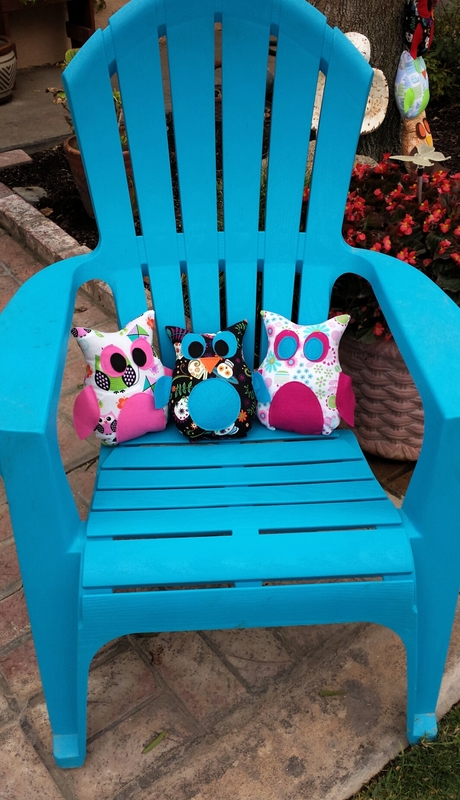 My first two owls were hug owls for two little girls that lost their mom to luekemia over the summer. I just wanted them to smile a little bit when they saw them. These are the pattern pieces that I used. Here is the totem pole my owls made. I’ve used different print fabrics, Day of the Dead, Halloween and various of pinks and other colors for everyday decorations. My garden has taken a beating. It’s been hard to blog lately, life has been a little busy, so it’s nice to start again. Because of the extreme heat, the drought and all the mountain fires that have filled the air with unhealthy particulates, my poor garden has suffered. 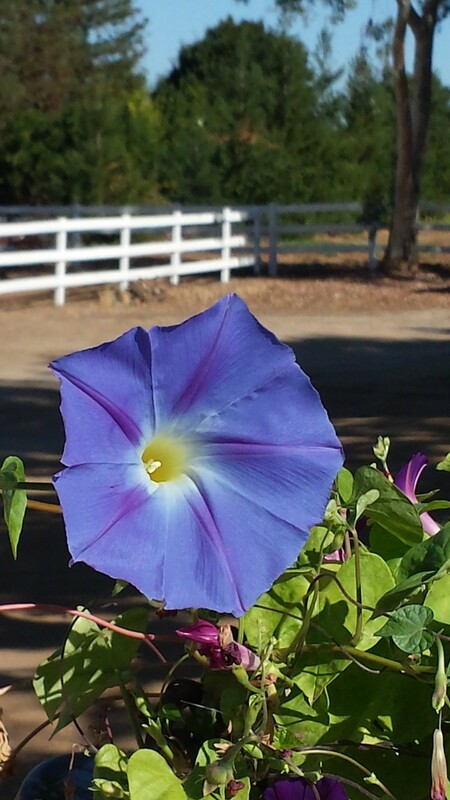 But there was a nice surprise the other morning when I did my morning walk through the garden, there was a huge morning glory flower looking fresh and healthy. 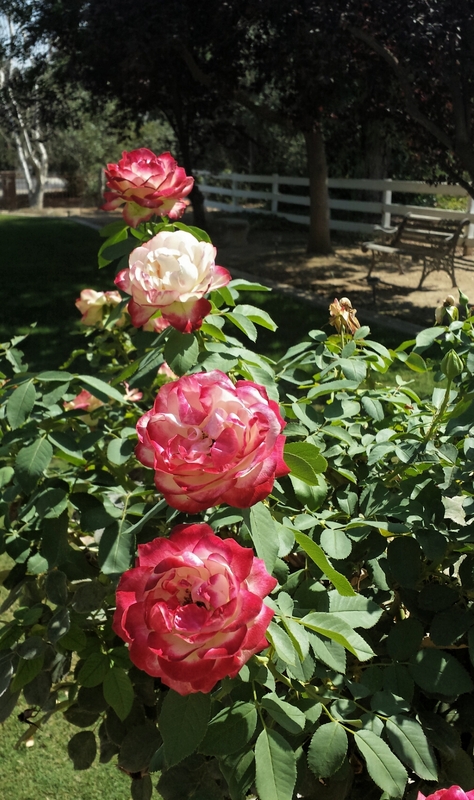 The only thing is, there was just one big blossom, the others were small. 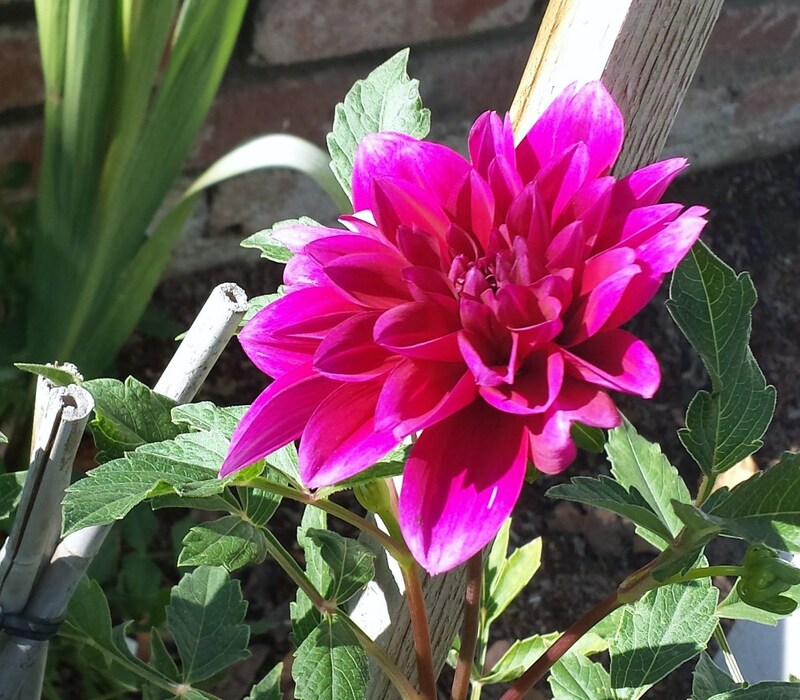 My magenta colored dahlia keeps on blooming.